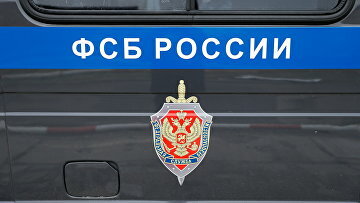 Lawsuit over confiscation of former FSB officer’s property reaches Moscow court | Russian Legal Information Agency (RAPSI). MOSCOW, November 8 (RAPSI) – A lawsuit filed by the Prosecutor General’s Office seeking to confiscate property of ex-officer of the Federal Security Service (FSB) Dmitry Stenin, a defendant in the high-profile corruption case of colonel Dmitry Zakharchenko, has reached the Gagarinsky District Court of Moscow, the court’s press-service has told RAPSI. The lawsuit was registered on November 7. According to the Prosecutor General’s Office, the state is to confiscate 28 real estate objects including houses, land plots, apartments and parking lots in Moscow and Moscow Region as well as 5 valuable automobiles registered in the name of Stenin and his relatives. Prosecutors believe that this property was acquired illegally and its cost estimate 380 million rubles ($5.7 million). Ex-Russian anti-corruption official Dmitry Zakharchenko was arrested on September 8, 2016. During searches at the apartment belonging to his sister law enforcement officers found around 9 billion rubles. He denied any relation to seized funds. Zakharchenko was charged with receiving a 7-million-ruble ($102,000) bribe from an unknown source. He was also charged with abuse of office and hindering the conduct of preliminary investigation. In March, it was revealed that he is charged with two more instances of corruption crimes. Later, a court granted a lawsuit filed by the Prosecutor General’s Office and confiscated money and property belonging to Zakharachenko and his relatives. Overall, the property in this case is evaluated at 9 billion rubles (about $136 million at the current exchange rate), including 27 real estate objects in elite neighborhoods of Moscow, 4 high-priced cars, 8 billion rubles and a gold bar. The ruling came into force in March. 15:33 08/11/2018 A lawsuit filed by the Prosecutor General’s Office seeking to confiscate property of ex-officer of the Federal Security Service (FSB) Dmitry Stenin, a defendant in the high-profile corruption case of colonel Dmitry Zakharchenko, has reached the Gagarinsky District Court of Moscow.